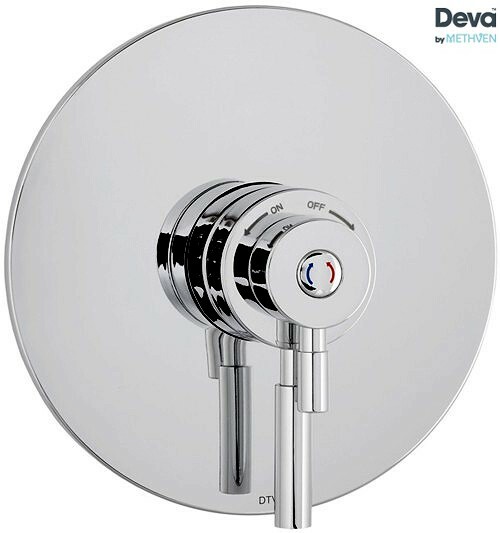 Deva Vision > Concealed Thermostatic Shower Valve With Multi Mode Kit. Concealed thermostatic concentric shower valve in chrome with multi mode kit. Adjustable slide rail and brackets. Multi function shower handset (5 functions). Easy clean, anti twist shower hose included (1.5m). 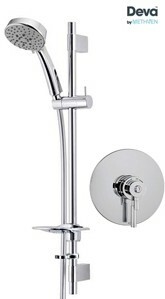 5 Year guarantee: Deva guarantee this Vision shower set for 5 years. The Deva Concepts Vision range is for people who see things differently. Sleek, minimalist lines, combined with classical proportions and tangible quality. The Deva Vision, as always, ahead of its time.